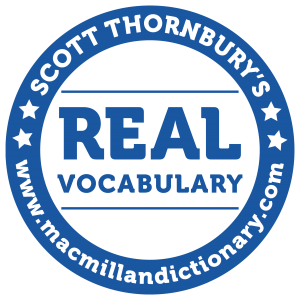 In our new series on Real Vocabulary, with Scott Thornbury, we’re bringing you blog posts, videos and a quiz that give evidence-based answers to frequently asked questions about vocabulary. Most people of that generation seem disinterested in politics. In contexts like these, disinterested is similar to impartial – the idea being that someone who is disinterested is in a good position to make an unbiased judgement about something, because they have no personal “interest” or stake in the outcome. But disinterested has another meaning, where it is synonymous with uninterested, and the way it is used in our quiz sentence (“disinterested in politics”) clearly invokes this second meaning. So the question is whether it is acceptable to use disinterested to mean “not interested”. The short answer is yes – but we need a longer answer because things are a little complicated. For well over a hundred years, traditionalists have insisted that disinterested can only mean “impartial or unbiased”, and that using it to mean “not interested” is simply wrong. Grammar Girl, for example, is in no doubt about this. She notes that “Disinterested is frequently misused by the media”, and then goes on to advise us about how to use it “properly” (in its “impartial” meaning). In its most recent (2013) survey, the American Heritage Dictionary’s Usage Panel criticised a sentence in which disinterested is used to mean “not interested”, with 86% of the Panel rejecting this usage. So what can we learn from the word’s history, and from the evidence of how disinterested is used in current English speech and writing? In his entry for disinterested, Dr. Johnson records both meanings (“impartial” and “uninterested”) without comment: for him, both are equally valid. That was in 1755. But going back even further, we find that disinterested is in fact an older word than uninterested. It first appeared in 1612, and it originally meant “not interested”. (A second meaning – “not influenced by interest; impartial” – begins to be used about 50 years later.) The word uninterested, conversely, originally meant impartial (its first recorded use was in 1646), and only acquired the sense of “not interested” a century or so later. So the situation was the complete reverse of what we find now. Now on to the evidence of usage. The way the two meanings are distributed in text relates closely to whether disinterested is in predicative position (coming after the noun or pronoun it refers to) or whether it is used attributively. In predicative uses, disinterested mostly means “not interested”, for example when it is modified by adverbs such as completely or totally. When followed by “in” (disinterested in politics, for example) it almost always has the “not interested” meaning, and the pattern “disinterested in” accounts for nearly 20% of all uses of the adjective. On the other hand, a high percentage of uses (about 45%) show disinterested in attributive position, modifying nouns such as “observer”, “witness”, “spectator”, and “party” (in the legal sense of that word), and here it always means “impartial”. The overall picture is that the “impartial” meaning of disinterested is the dominant one, accounting for well over 70% of all uses. But that still leaves a healthy proportion of cases (like the example in our quiz) where disinterested means “not interested”. The traditionalist case against using disinterested to mean “not interested” rests partly on the potential ambiguity of a word which has two quite different meanings: won’t people get confused, they argue, about which meaning the speaker intended? This is a rather weak argument: most common words in English have two or more meanings, and this rarely causes problems in normal communication. In almost every case, context resolves any uncertainty. The restaurant feels very amateurish, is lifeless inside and has disinterested staff. My task was made more difficult by the totally disinterested response I encountered from certain officers of the city council. The novelty of Speakers’ Corner is fast fading away, with few regular speakers and a sparse, disinterested crowd of listeners. Scientists may be disinterested in their search for knowledge, but their employers are not. 2. not interested. Many people think that this use of the word is not correct, and prefer to use uninterested. And the data shows that, if you want to indicate that you’re not interested in something, it’s more natural to just to say “I’m not really/not very interested in that”, rather than using either disinterested or uninterested. Another problem is that interested itself is ambiguous—it can mean “having the attention engaged” or “being affected or involved”, to quote from Merriam-Webster’s Collegiate. Why do we allow “interested” to have two meaning but then insist on using two words with different negative prefixes for the negative versions of each of those meanings? Both usages are discernibly correct. It is up to the speaker to ensure they use the word in its proper context for the reader/listener to be able to fully understand the speaker/writer’s angle. If there is a problem at all, it is that there really is no equivalent of (dis)interested at all, in the relevant senses. A disinterested judge is one who has nothing to gain, financially or emotionally, from the victory of either side. This is a slightly different requirement from impartiality. As is so infuriatingly common, a hugely lengthy “explanation” utterly fails to provide an unambigious answer. All it does is ADD to the confusion! This answer is completely useless to anyone and therefore a waste of space and our time. A dictionary should authoritatively define word meanings, not parrot current erroneous use. As soon as dictionaries permit ambiguity, they have lost their reason for existence. If one relies on context (which is often grossly misinterpreted), rather than an agreed and authoritative definition to decide on the meaning of a word, then we might as well abandon dictionaries altogether. When “Bad” means “Good” in some cultures, what hope is there for clear communication and understanding? Of course, it is true to say that many English words have more than one meaning. However, this situation is very obviously a bad one. Language authorities should be making best efforts to eliminate such misleading ambiguities, NOT using their existence as a very poor excuse for accepting or even approving the addition of even more ambiguous words. I find this site quite entertaining for an occasional visit. But it is of less than zero educational value. Its value as an educational aid is negative. His lecture laid down the founding principles of the Oxford English Dictionary, which boil down to the idea that a dictionary entry must reflect the evidence of usage (how people use words when they are actually communicating with one another), rather than inherited “rules” or the lexicographer’s own prejudices. Virtually all dictionaries take the same approach. So we’ll probably have to agree to differ on the question of what dictionaries “should” do. The alternative position, where certain people or institutions set themselves up as authorities who hand down rules, can to some extent be found in those countries which have official language academies (such as Spain and France). But it raises the obvious question of where these people derive their authority from. Or to put it more crudely: what gives them the right to tell other people what is good or bad in language? 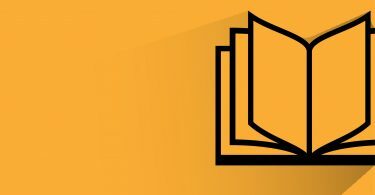 At Macmillan, everything we say in the dictionary is supported by corpus evidence – not the odd usage that occurs just once or twice, but solid evidence of widespread use across a range of text-types and writers or speakers. I’m glad Scott Thornbury was able to look “at a sample of 100 instances of disinterested in our corpus, and couldn’t find a single one where the intended meaning was unclear.” In my neck of the woods, most people don’t realize that “disinterested” can be synonymous with “impartial” and *only* know it as the opposite of “engaged”. They would just look at a phrase like “disinterested judge” and think the writer was referring to a guy in a robe who’s bored out of his mind. Sorry, Mike, I credited Scott Thornbury with the heavy lifting when it was you who sifted through all that material to find examples of disinterested’s usage. My bad. I also meant to comment on Tropi’s post. I’m of two minds: on the one hand, I see where she/he is coming from. Someone once said that, “In a word where anything goes, everything will.” That sort of logic is hard to against–letting everyone use words however they want (like people in one region calling a dog “a cat” while people somewhere else refer to dogs as “trousers”) is a recipe for disaster because meanings and usages will just be all over the place and chaos will reign. On the other hand, I also see how language is like a living, breathing organism and will inevitably evolve. So while I understand and even sympathize with Tropi’s frustration, I think failing to recognize increasingly common modern usages of words is to live in the past. On a side note, I’m curious as to how Tropi feels about the people from where I live who only know “disinterested” as the equivalent of “uninterested”. They would view a sentence like “In an ideal court of law, the judge must be completely disinterested to be fair and effective” to be undeniably wrong since having a judge who is completely bored (presumably with the proceedings of the trial) would be anything but effective and his ability to be fair would also be questionable. So there you have it, Tropi: these folks would tell you that such a usage of “disinterested” is without a doubt incorrect–no muss, no fuss, no ambiguity. Is this definitive answer the type you’re looking for? Jeremy (on disinterested): “letting everyone use words however they want …is a recipe for disaster”. True, but in practice, language seems to be a self-regulating system (Steven Pinker has referred to it as “the ultimate wiki”). I mentioned H.P. Grice’s “Cooperative principle” in an earlier post, and this refers to the social pressures (or expectations) which lead us – in general – to cooperate with the people we’re talking to in order to understand one another’s intended meaning. As we’ve said before on the blog, it’s a false dichotomy to imagine that abandoning some traditional rules means we go to the other extreme, of an anarchic free-for-all – because if that happened, communication would break down, and that’s not in anyone’s interests. Linka (on Can I get a coffee? ): good point. It just reminds us what a “flexible” word “get” is, and an extreme example of John Sinclair’s view that “Many if not most meanings depend for their normal realization on the presence of more than one word”. Or in even simpler terms, without context many words (and “get” exemplifies this better than most) can’t really be said to have any meaning. Julie (on transpire meaning “happen”): I think you’re right that – in many cases at least – transpire carries the additional “idea of events unfolding in a way that wasn’t expected or predicted”, so that in these cases it is rather like “turn out” (where a string like “but as things turned out…” is common). It just underlines the weakness of the argument that “there is no need for this sense of transpire when there are so many perfectly good synonyms”: once you really look at the data, “true” synonyms are extremely rare, and there are usually nuances – like the ones you mention – which distinguish apparently synonymous words. Evolution is only good if it leads to improvement or to making something better than it was. But removing the distinction between existing words that have very specific and useful meanings is clearly not an improvement. It is the very opposite. New, useful words are to be welcomed. but destroying old, useful words impoverishes the language. A sound knowledge of the past is not only useful, but is absolutely essential to making a better future, no matter what the subject. Sorry, I disagree with all of that (outside the brackets). Everything to do with human language IS caused by human agency, whether by omission or commission. I didn’t mention removal of words. I spoke of “removing the distinction between existing words that have very specific and useful meanings”. It is the removal or abandonment of those specific distinctions of meaning that effectively destroys the usefulness of one or other of the words. That word does then, automatically, become redundant and is effectively lost. Loss is the opposite of gain. It is a negative value. I imagine there are people who would delight in perversely arguing about that also. Doing so might be fun. It probably would be, but it wouldn’t be helpful. It could be entertaining, but would not be useful and certainly not educational. It worries me that any dictionary or professed educator would actually choose to argue against the removal of confusion about word meanings. To do so seems wilfully perverse. What can possibly be wrong with the removal of confusing ambiguity? What can possibly be right about stubbornly maintaining it? Surely a primary function of education is to remove or reduce ignorance and confusion? It is beyond logical comprehension that an intelligent organization or person would actively choose to perpetuate divisive disagreement such as this. It helps no one and hinders many. Instead of destructively chipping away at so-called “prescriptivism”, I invite someone to attempt a constructive case for deliberately maintaining ambiguity, when the simple alternative is to eliminate it. Please tell us the educational value of ensuring that ambiguity and argument continues. It seems to me that single, specific words which possess a single, agreed, meaning have far higher value and utility than the morass of descriptive context and argumentative discussion that is otherwise so often necessary to try to ensure clarity of intent. PS. I do wish there were “Review” and Edit” options prior to “Submit”! The published layout does not always accord with one’s intentions, not helped by the pale grey text that is used. Could this be improved?. – The levy probably survived because Margaret Thatcher – unlike the 19th-century Earl of Rosebery, who said he would rather win the Derby (he did that twice) than be prime minister (once, briefly) – was uninterested in racing. – Yet, traditional criticism has generally been uninterested in the widening of vernacular expression among groups previously unable to record their voices. Personally I’d be less likely to use disinterested in these cases.